Why do I need to have my air ducts cleaned? (1) Cleaner, fresher and healthier air inside can reduce coughing, sneezing, allergy medications. (2) Less dusting, and carpet cleaning. (3) Your furnace and air conditioning system will perform better and save on energy cost. The answer is no, our state of the art negative air flow duct cleaning machine that is equipped with three filters, a 2” pleated air filter, then a washable electrostatic filter, then a HEPA-filtered to 99.97% so the dirt stays in the machine and out of your home. We block off the duct work, registers and grills in the area’s we are not working to prevent any dust and debris from traveling out of your ductwork and into your home. We use brushes and compressed air through each duct to scrub the ductwork and force the dirt to our machine. We also clean your dryer vent ductwork out with this service. Our certified tech’s use drop cloths and shoe covers to protect your floors during the process. Most single-story homes cost $375.00-$395.00. It takes two men around 4 hours to complete each furnace. Most two-story homes cost $475.00-$495.00. It takes two men around 5-6 hours to complete per furnace. 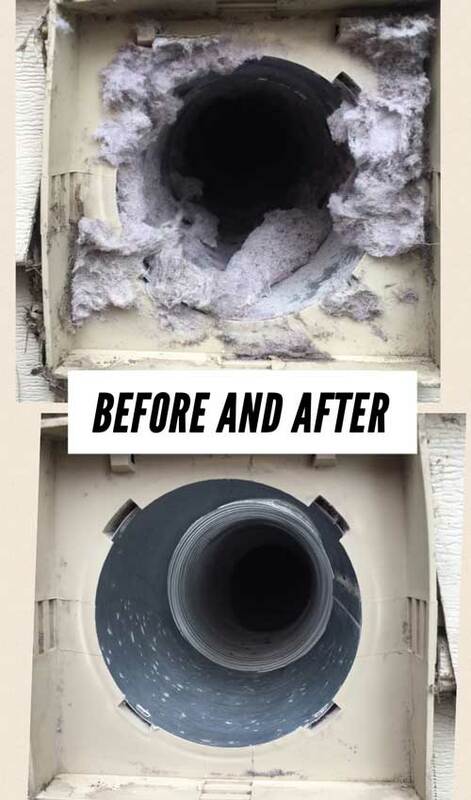 Why clean your dryer vent ductwork out? 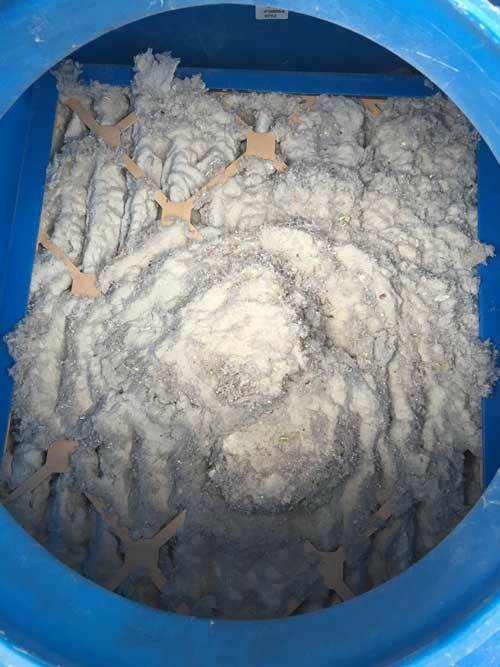 Dryer lint build-up can cause reduced airflow, which in turn causes overheating. When this happens, the high-temperature limit safety switches cycles on and off. Accumulation of lint and reduced exhaust airflow provide conditions ripe for a fire. Lint is highly combustible. Proper airflow can decrease drying time, thus decreasing operating cost. It can also reduce part failures, which can extend the life of the dryer. How often does the dryer vent ductwork need to be cleaned? Recommended is once a year for family’s with loads of laundry 2-5 times per week; every 2 years for customers that don’t have loads but once every week or two weeks. We use a brush on a machine that goes through the ductwork and forces the lint into our duct cleaning machine. How much does it cost for dryer vent cleaning only? It costs $99.00 per dryer for a sidewall vent, $125.00 per dryer for a roof mounted vent. There are certain warning signs that tell you that there might be at risk from suffering the fate of a fire caused by your dryer. Is your dryer taking longer to dry clothes than usual? Is there a burning smell coming from your dryer? Does your dryer turn off before your clothes are dry? Do you have a dusty laundry area? Does the flapper vent not open when the dryer is on? Here are some facts about dryer vent fires. Clothes dryers are the #1 major appliance cause of fires. There were 15,500 dryer fires last year. Inside dryer chamber and dryer vents should be cleaned by a professional once a year. Dryer venting should be all metal and vented to the outside only! Crawl spaces, attics, and living spaces should not be used for dryer exhaust. 2019 © All-Star Heating & Air Conditioning Inc.